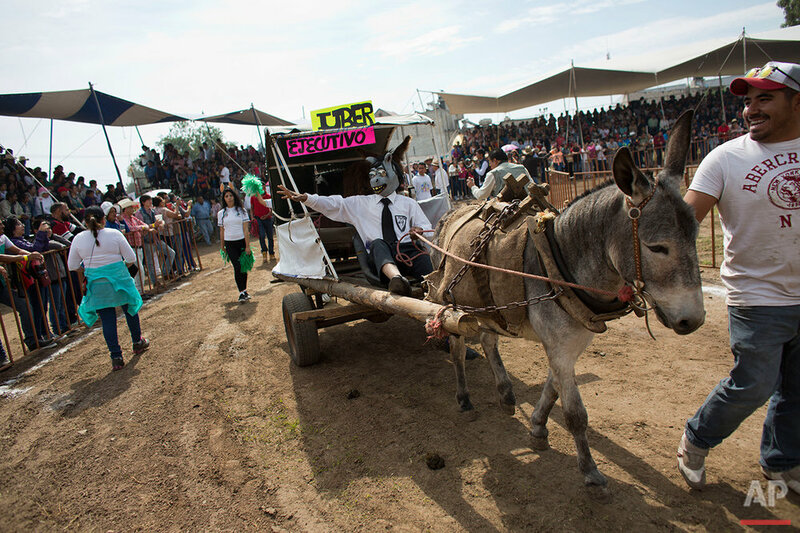 This is a place where every donkey will have his day - a small town just north of Mexico City that gives the beasts of burden a chance every May Day to kick up their hooves. 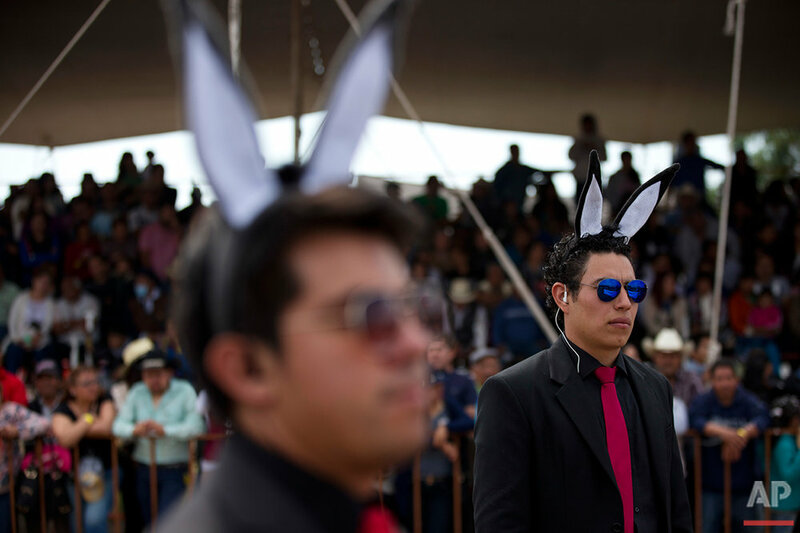 Tourists squeeze through the jammed fairgrounds wearing donkey ears and munching on classic fair cuisine, including the local version of burritos - a dish popular both north and south of the Mexican border that borrows the Spanish word for donkey. 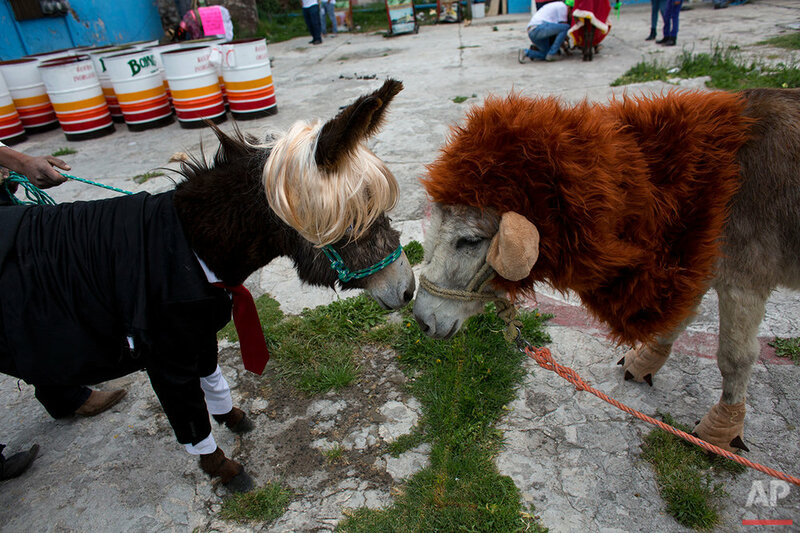 Adolfo Garcia Aguilar, who works on a cattle farm, said his family pitched in to dress his burro in a red tie, black boots and a blond wig. "We'll see how we do - if they kick us out, donkey and all," joked Aguilar. 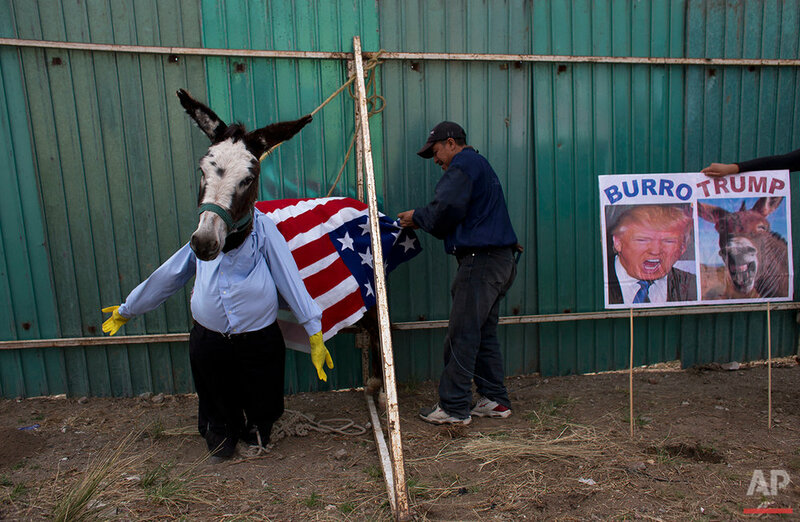 Other Trump-decked donkeys featured signs that declared: "Impostor! I'm the real Donald Trump!" and "If I win the 12,000 peso prize, I'll put a wall between Otumba and Teotihuacan," referring to the famed pre-Aztec city of pyramids nearby. None of them won much favor with the audience at the 51st annual donkey fest, though. Audience applause chose the winners: donkeys emulating a Smurf, a firefighter and an Uber ride. Zeus Laredo, a physics teacher who attended the fair with friends, said he backed the eventual winner: a donkey dressed up as the papa Smurf who was attended by an entourage of people in Smurf costumes. 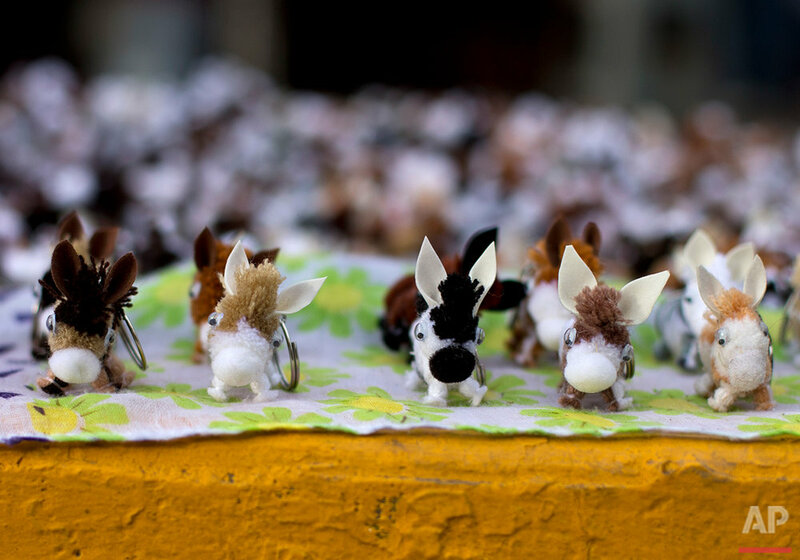 Otumba was an important donkey market during Spanish colonial times, standing at the crossroads of major roads leading to Mexico City, where the beasts pulled heavy loads and carried travelers. Today, however, farmers use tractors and pickup trucks, and the donkey population is in decline. The animal that won the jockey race is more a pet than a worker. 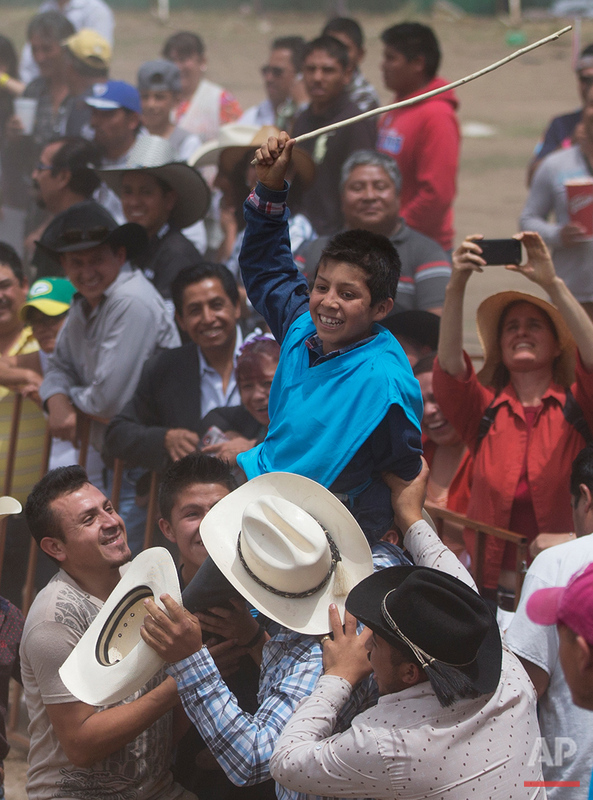 The 12-year-old winning jockey, Wilfrido Lemus Corona, learned to ride his donkey, Veso, when his grandfather plopped him on top when he was just 6 to carry him across the fields, his mother Patricia Corona Espinosa said. Family and friends threw the tiny jockey into the air Sunday after he scored his third consecutive win. 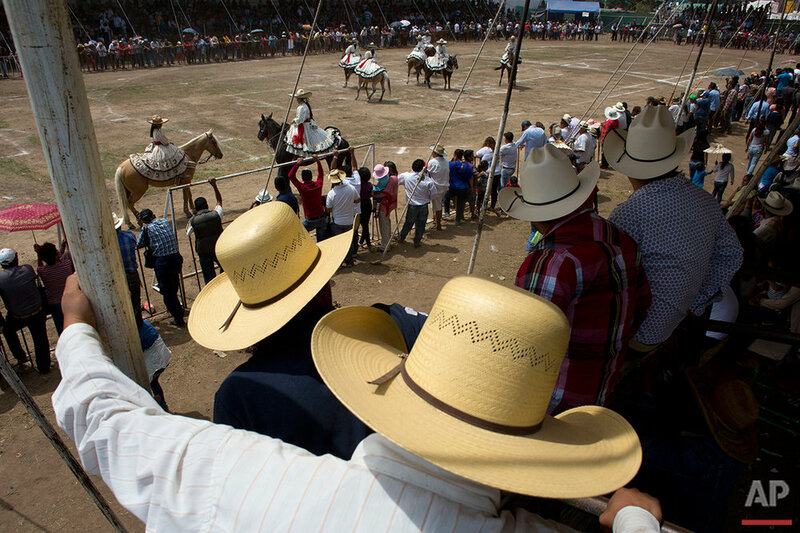 He also took home 12,000 pesos in cash, about $700. 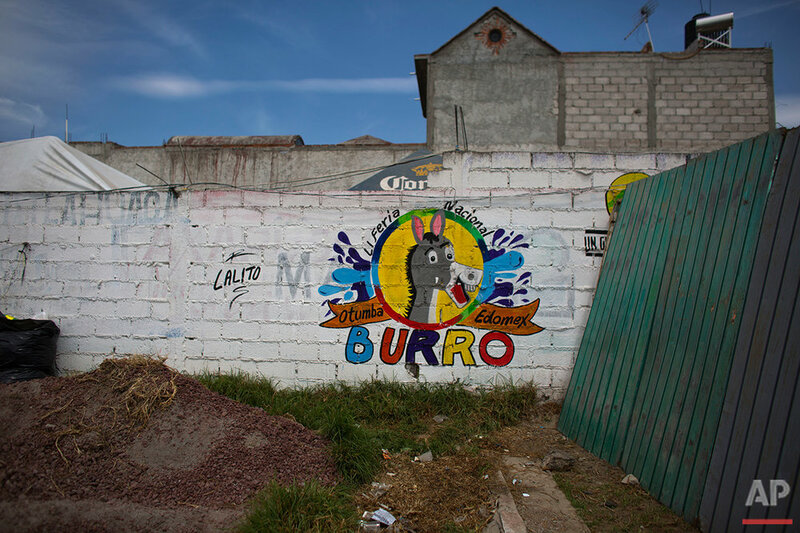 With donkey numbers declining, Otumba's Flores family decided to open a donation-funded sanctuary they coined "Burrolandia," or Donkeyland. It currently holds 30 donkeys that German Flores said would otherwise have ended up at the slaughterhouse. Here they live out the rest of their days grazing and can be visited by tourists on weekends. Flores said that the majority of their donkeys came from farmers who either couldn't afford them anymore or who no longer had room after moving away from their farms. 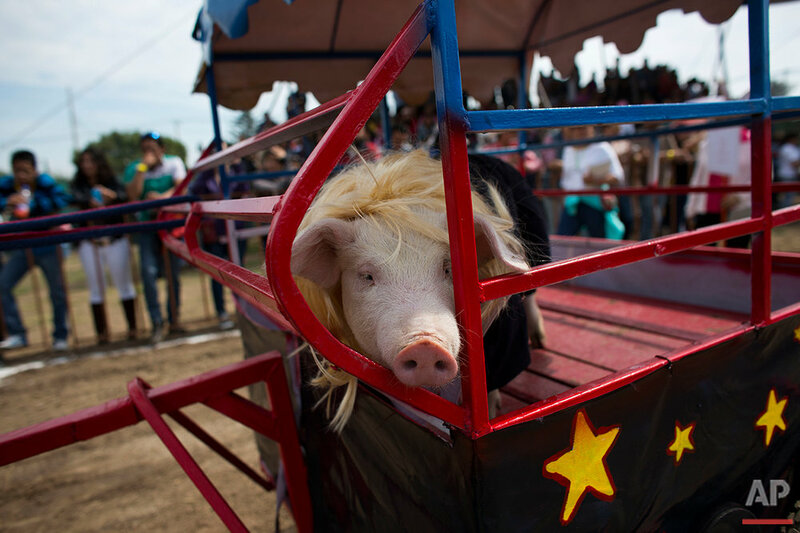 Fair organizer Juan Carlos Chavez said Otumba hopes its annual festival creates awareness about the animals. "Donkeys are wonderful animals," he said. "People say they don't understand, but they do." 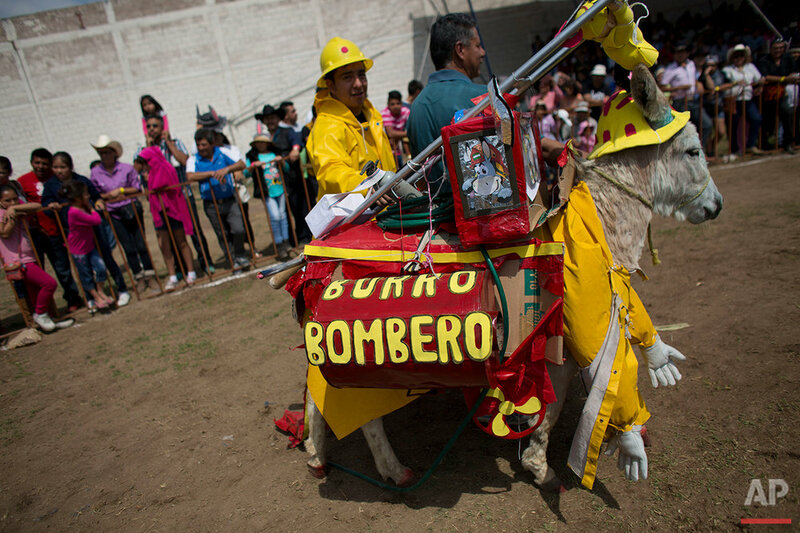 Text and videos from the AP news story, Small Mexican town fetes the donkey with May Day festival by Leslie Mazoch.